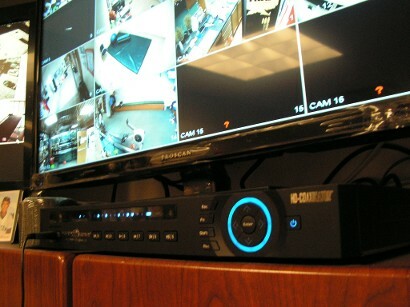 This is our 16 channel HD 1080p CVR. 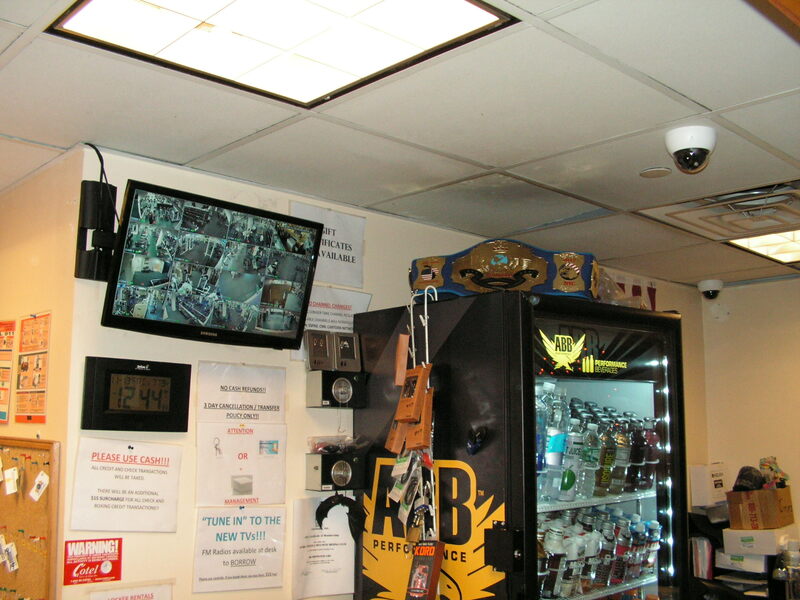 This is one of our new 1080p HD dome color camera. 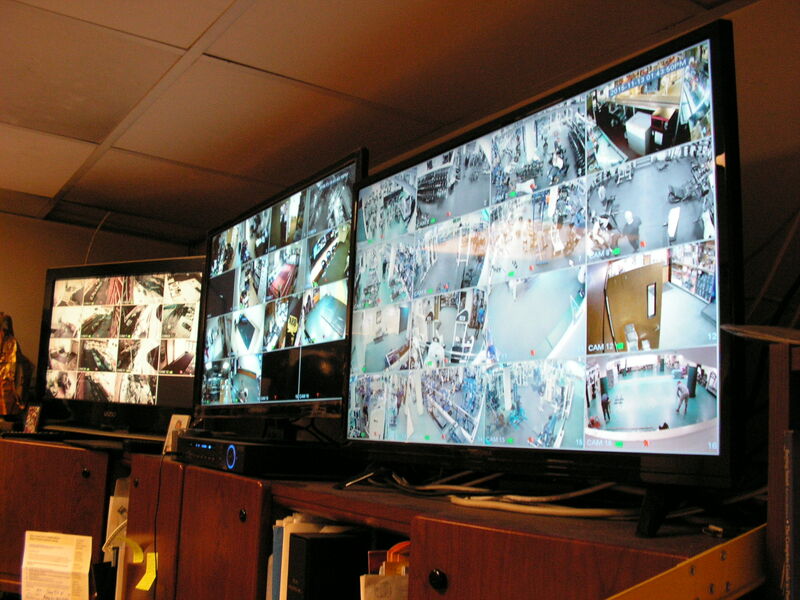 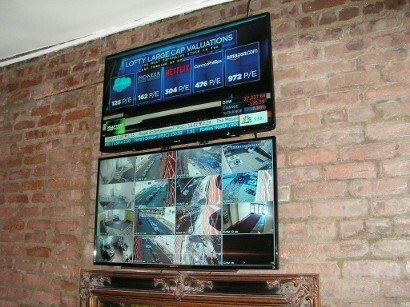 This is the customer viewable mounted multi-camera monitor. 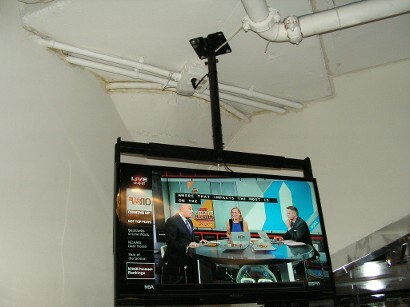 This is one of the 32" black flat screen ceiling mounted TVs. These are dropped down ceiling-mounted dome cameras. 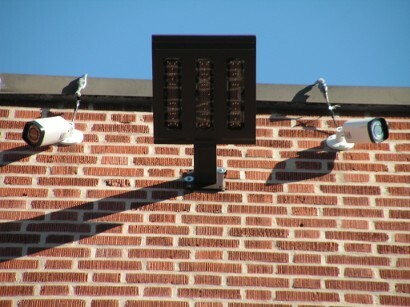 These are the HD 1080p bullet cameras for outdoor surveillance. 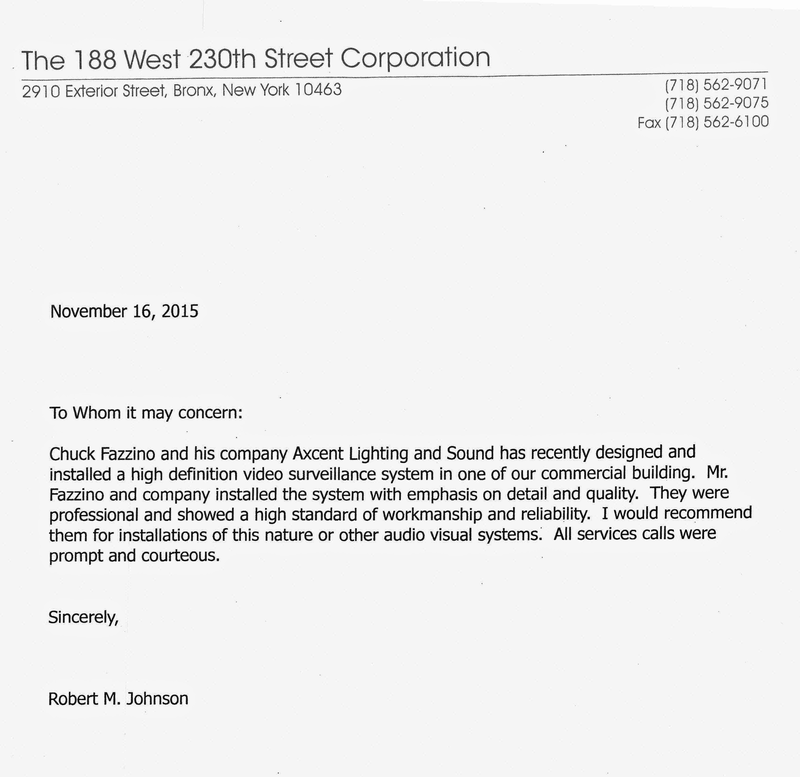 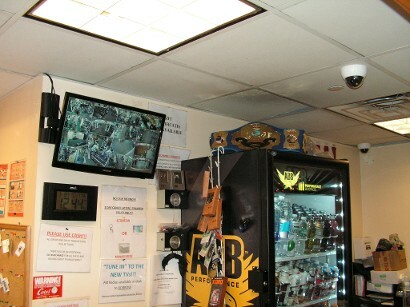 This is 188 West 230th St. Corporation office wall-mounted security monitor and Direct TV television monitor. 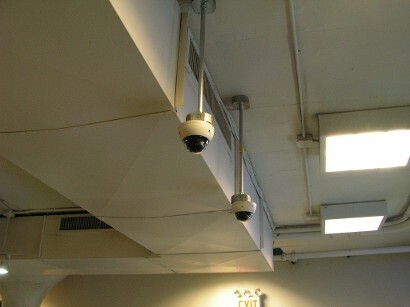 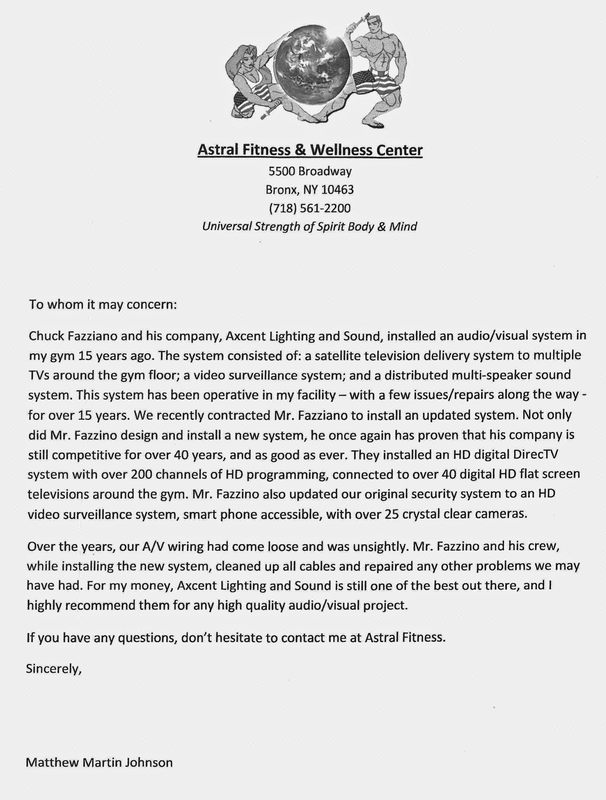 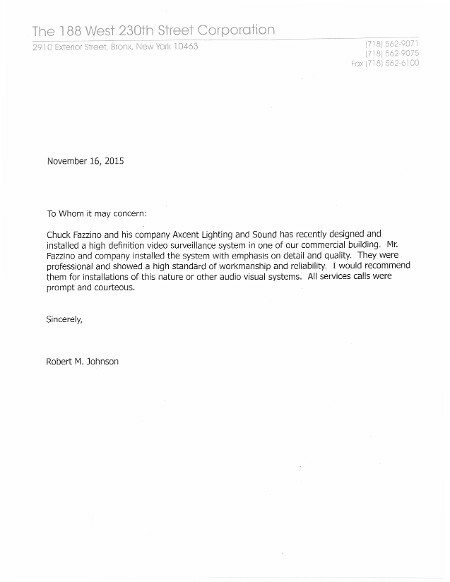 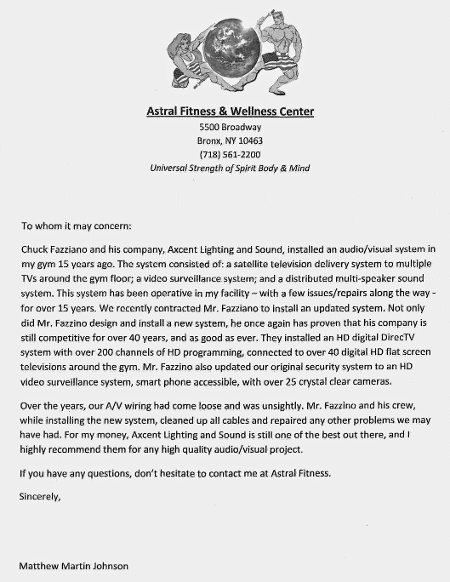 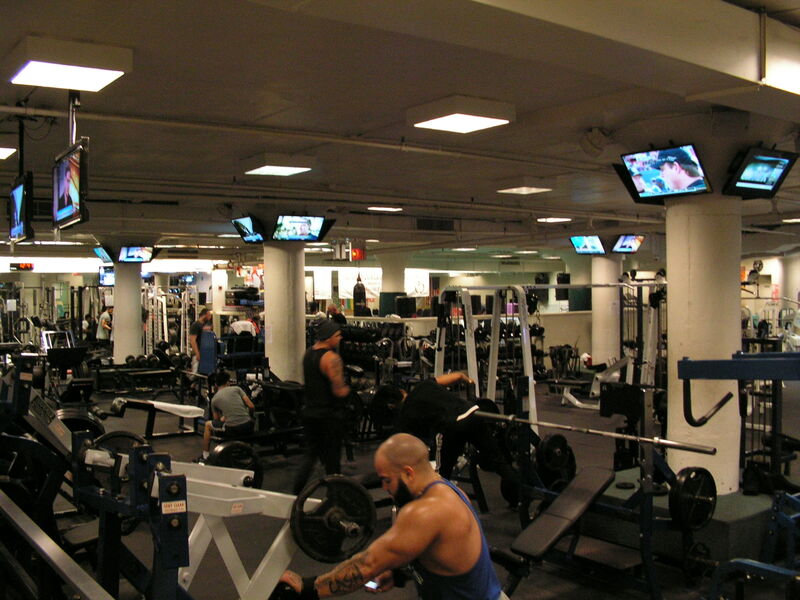 This is Fitness Center's security camera monitor office array. 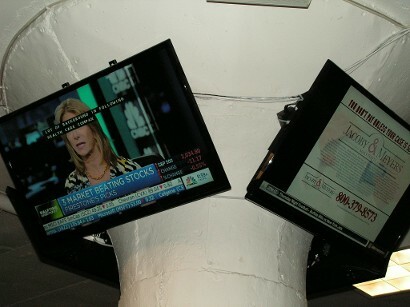 These are monitors mounted on natural tilted basement columns. 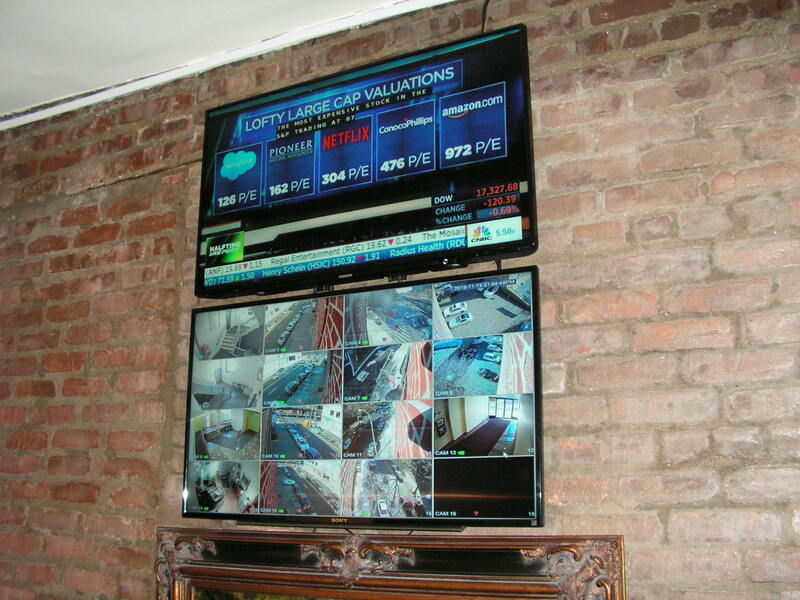 There are a total of 35 TVs. This is another angle of the 35 column-mounted, 32" TVs. 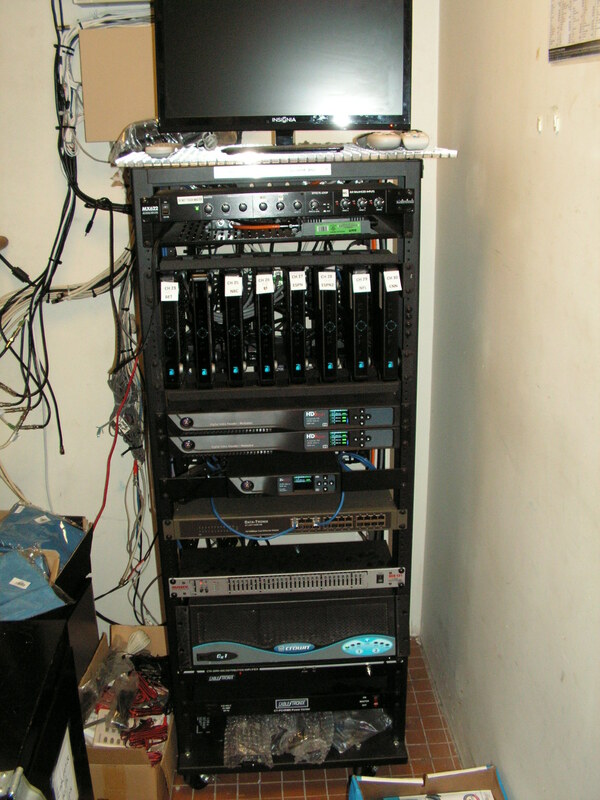 This is our custom-made Direct TV HD television delivery system rack.